In this post we’re going to have a look at how to set up a development environment for Flutter and Android. 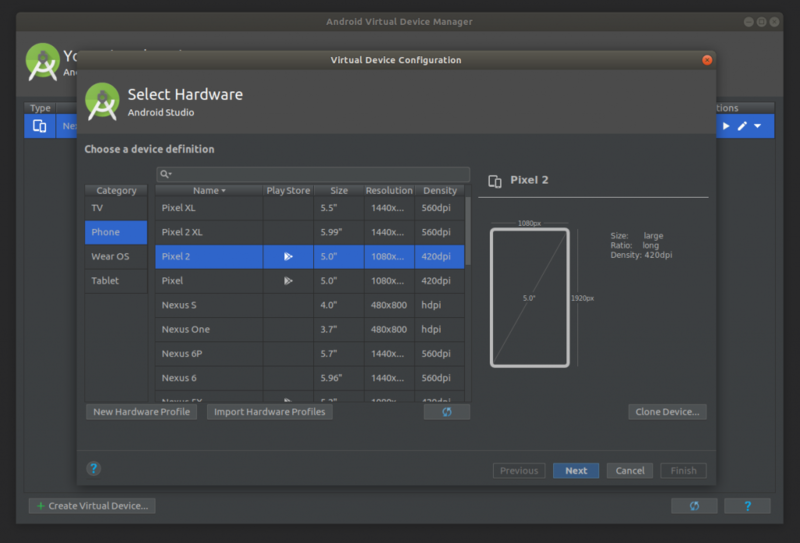 At the end of this post, you’ll have a working development environment on Ubuntu, Linux Mint or similar, including your first Flutter app running in an emulator and device. Open the respective file and add around the bottom. 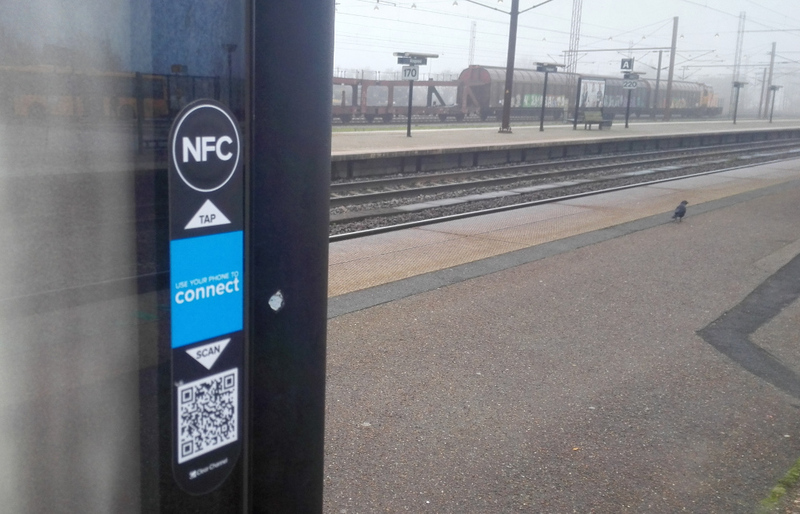 but Android SDK not found at this location. 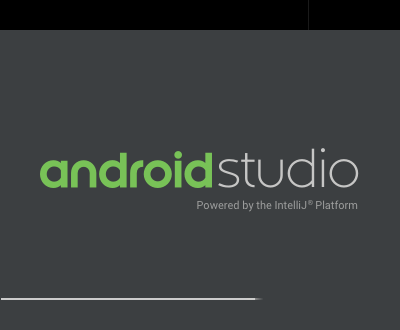 This will open the IntelliJ based IDE for Android Studio and start off with a splash screen. 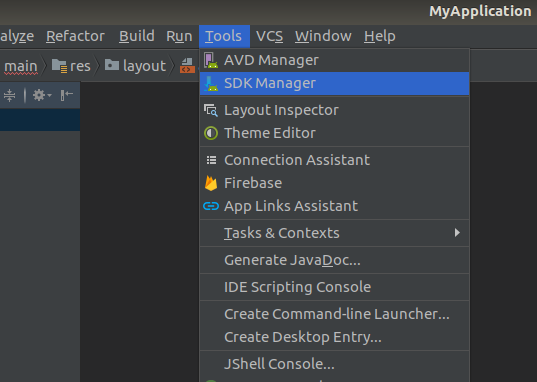 After the IDE has started, just create a new Android project, because we want to head into the Tools menu and open the SDK Manager. Inside the SDK Manager we want to navigate to the Plugins menu and press the Browse Repositories… In the following dialogue you can now search for Flutter and hit install, which should prompt you to install the Dart plugin as well. Remember to reload your shell config with source ~/[config name here]. After installing the Android SDK, you’ll have to agree to some license agreements via the CLI. 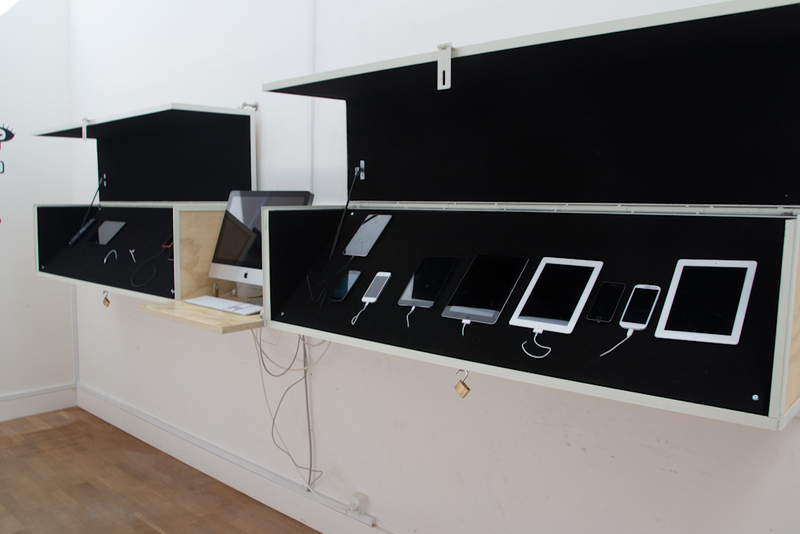 Now we still have No devices available, let’s fix that with an Android Emulator. 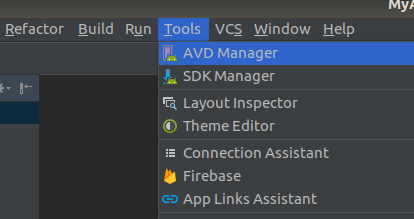 In Android Studio, head to Tools and then AVD Manager (Android Virtual Devices) and add a new emulator. This should be straight forward. After you have gone through this process and started your emulator, you should no longer receive the warning that no devices are present by flutter doctor. NOTE: after running the adduser command you should restart your machine. For GIGABYTE mainboards this setting is slightly hidden within Advanced CPU Core Settings and called SVM mode which needs to be enabled. To set your phone up for app development, you’ll need to enable some developer settings, like explained by the Google Android Docs. After this, if your phone is the target device for flutter and attached to your computer, it will automatically install the app and launch it when you use flutter run. To open your project with Visual Studio Code, change to your project directory with cd ~/projects/flutter/test1 && code . Now you will be able to edit the flutter app and change the text labels or counter behaviour (try adding 3 at a time!). 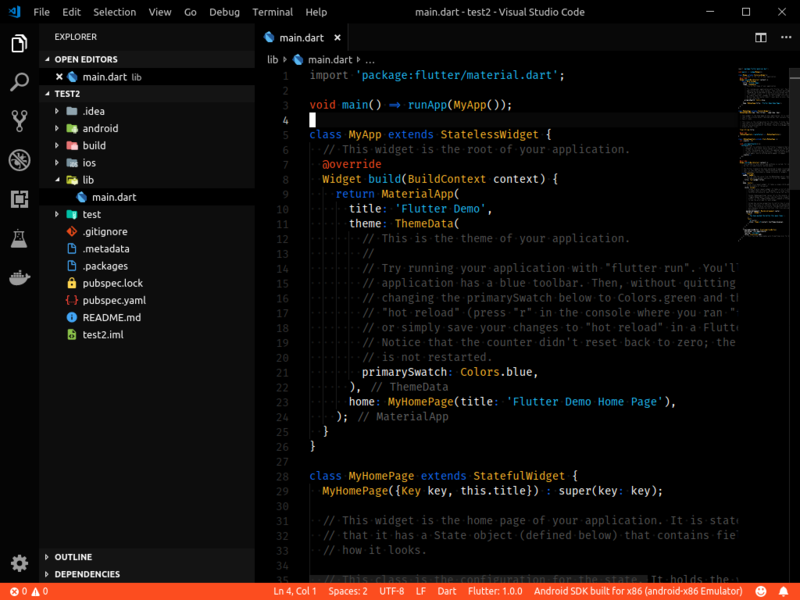 If you want to integrate VSCode more closely with Flutter, make sure to install the Dart and Flutter plugins, which will enable you to create new projects or run your app from within Visual Studio Code. That’s it! You’re now up and running with Flutter development for Android! Happy coding and remember to share your first app results! PS: Thanks to some sub-reddits and Thomas for the review! The participants, many of them students from the EAL, others from Copenhagen or just volunteering enthusiasts, went on a 24h sprint with Applab. First, introduction of toolkits, group building and idea generation tasks were on the schedule, followed by a supply of sandwiches and softdrinks.